Welcome to the Christian Fiction Scavenger Hunt! I am a part of Team Pink, and this is Stop #14. The Hunt begins at Noon Mountain time on April 16 and ends at midnight Mountain on April 19, 2015, so you have a long weekend to complete all 34 stops and maximize your chances at prizes! If you're just joining us, there are two loops—pink and purple—and they begin at Lisa Bergren's site and Robin Hatcher's site for stop #1 for either stream. If you complete either the pink loop or purple loop, you can enter for a Kindle paperwhite and the 17 autographed books from that loop. If you complete both loops, you can enter for the Grand Prize of a Kindle Fire HDX and all 34 autographed books. Please be sure to keep track of the clues at the bottom of every post in the loop and the favorite number mentioned. You'll need those clues to enter for the loop prize and every number mentioned in order to enter for the grand prize. 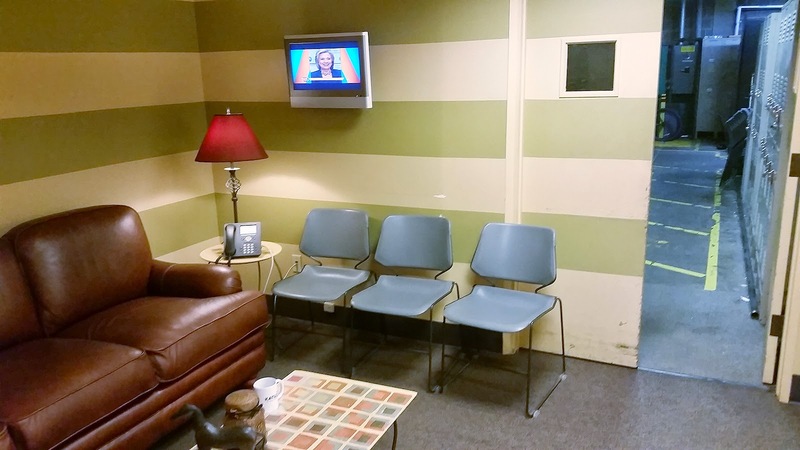 Hillary here - welcome to stop #14, Pink Loop, of the Great Scavenger Hunt of 2015! If you're just popping in, do start at stop #1 for the full dish. I'm delighted to be hosting my friend here today, the delightful Katie Ganshert. 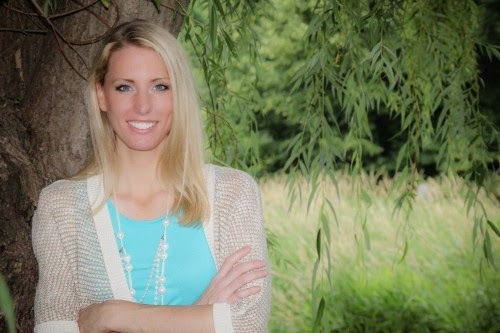 Katie writes with great sensitivity and lyricism on a number of topics, infertility included. Read on to find out how her own journey inspired her latest release, The Art of Losing Yourself, releasing April 21st. In the world of novel-writing, authors can usually be lumped into one of two groups—character-first and plot-first. The names are self-explanatory. A character-first writer starts with a character and builds the plot accordingly. A plot-first writer starts with a plot, and then creates characters to carry it out. I don’t fit into either mold. My novels don’t begin with a character or a plot. They almost always begin with a scene. They’ll come to me at random times. While I’m driving in the car or taking a shower or lying in bed or sitting in church. The scene will play out—so real and vivid and enticing that I need to write it. And once I’ve written it, I need to find a story to go with it. For my upcoming novel—The Art of Losing Yourself, releasing in a few short days—it all began with a parking lot and my irritation with an Expectant Mother sign. As a woman who has walked the path of infertility, those signs can feel like a punch to the gut. In the midst of my inward musings, the scene that would birth this novel took shape. I wasn’t sure at what point the air inside Toys R Us grew too thick to breathe. Mandy’s words had brought in a high tide of what-ifs. What if we were never chosen? What if we went through the same thing Mandy’s cousin’s church friend went through? What if Ben and I were doomed to forever be in this place we’d found ourselves in, with no hope of getting out? I tried my hardest to shut the questions off. It was something I believed once, a long time ago. But now? My hand settled over the flatness of my stomach, even as I attempted to keep the memories away. But they were stubborn, intrusive things, dredging up handfuls of doubt I was so sick of holding. Once upon a time, I naively thought God would bless Ben and me for doing life His way. Yet there I sat in the driver’s seat, a bag of baby items resting in my lap, with nothing but aching arms and an empty house. A ray of sunlight broke through the clouds and reflected off a parking sign straight ahead of me: For Expectant Mothers. Without warning, without forethought, I shifted into drive and hit the gas, a wild scream tearing up my throat. My car lurched forward and rammed into the metal post. The sign remained standing. Its resiliency blistered all reason. I threw my car into reverse, backed up, and ran into it again, flooring the gas until a loud crunch rent the air. I blinked several times with the steering wheel gripped in my hands. Then I rose up in my seat. A stork carrying a bundled baby was taking a nosedive toward the cement. Thanks for stopping by on the hunt! Before you go, make sure you write down the clues. Secret Number: 7, because Danny and I married on 7/7/07 (Yeah, we were one of those). Next Stop: Katie's hosting Stop #15! Click here to continue. And if you're turned around, a complete list of the stops with links will be on Robin Hatcher's website. 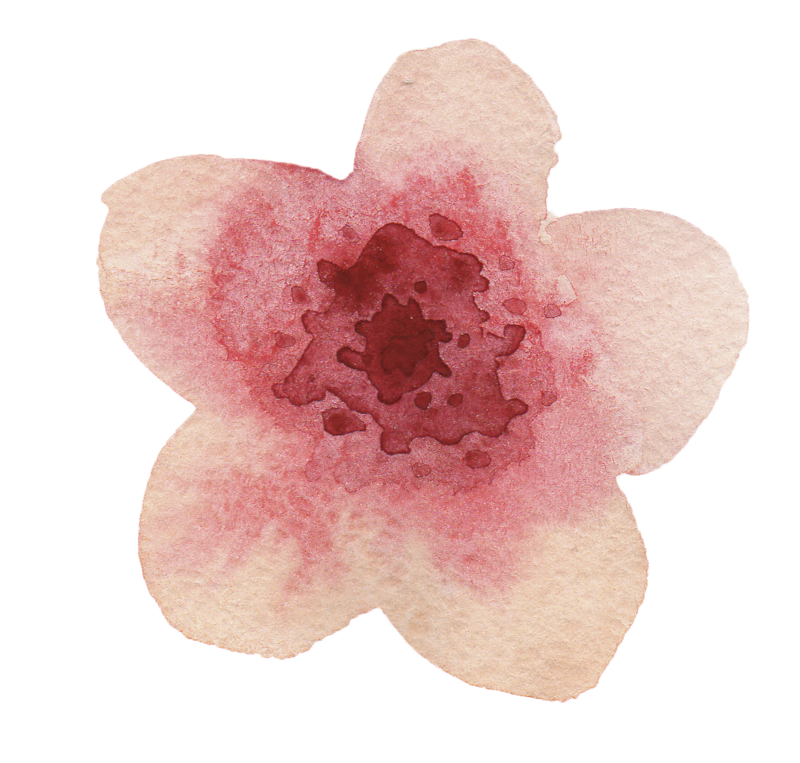 You can find ordering information for The Art of Losing Yourself here, as well as the first chapter. Reflections on my own journey with infertility can be found here and here. 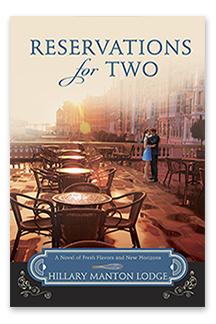 Also, you can enter to win a copy of my latest - and not yet released - title, Reservations for Two below. Thanks for stopping by, enjoy the rest of the Scavenger Hunt! I am looking forward to reading Melanie Dickerson's latest "The Huntress of Thornbeck Forest"
I'm looking forward to reading Ashlee Willis' book 'The Word Changers.' I just recently got introduced to her writing and look forward to delving more into it. Enjoyed Table for Two--looking forward to the next one. Also hoping to read Lori Benton's new one soon. Thanks for the giveaway chance. I am looking forward to reading Beverly Lewis book called The Love Letters. Waiting for the new Karen Kingsbury book! Have so much I want to read. Right now I'm reading The Thornbearer by Pepper Basham. Just finished The Captive Impostor by Dawn Crandall. I think my next book will be, Truth Stained Lies by Terri Blackstock (unless I win something from this fun hunt)! There are so many books in my "to be read" basket. I'm especially looking forward to reading Jocelyn Green's newest "Spy of Richmond." My to-read pile is my whole bookcase! 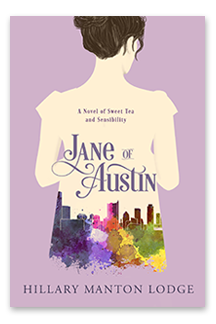 Up soon are Jane Austen's Sense & Sensiblility, Terri Blackstock's Newpointe 911 series and Ronie Kendig's Discarded Heroes. I'm looking forward to reading Lysa TerKeurst's book "When Women Walk by Faith". The Sparrow of Terezin by Kristy Cambron! I am looking forward to reading Becky Wade's new book. After I finish reading The Art of Losing Yourself, I look forward to reading A Table by the Window!! At present I am reading Beverly Lewis's The Love Letters. I am looking forward to reading No Place to Hide by Lynette Eason and so many other books I can't recall. This month I am anticipating reading Chasing Sunsets by Karen Kingsbury! This month I am looking forward to coming to the end of my review pile (as long as I don't sign up for any more) so that I can read all those books I have been looking forward to for a long time and that have come out in the past couple of months. Two are "Cinderella's Dress" and "Orphan's Song." I am looking forward to reading Reservations for Two. Right now I am reading When Love Calls. The Brickmaker's Bride by Judith Miller is next in my TBR stack! I'm looking forward to reading your books A Table By the Window and Reservations For Two. Your new book Reservations for two sounds good I would love to win it. Your new book Reservations for two sounds like a good book I hope I win it! I'm looking forward to reading more Christian fiction this month. But right now I'm starting Frostfire by Amanda Hocking. 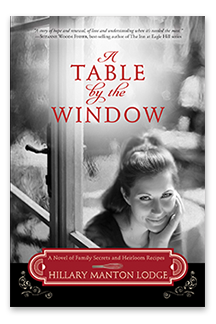 I read " A Table by the Window" (which I loved!) and can't wait for "Reservations for Two" to be released. I'm almost finished with "Plain Jayne" (which I have had a hard time putting down!) and have "Simply Sara" on hold at the library. The book I'm looking forward to this month is the newest release by Becky Wade "A Love Like Ours". 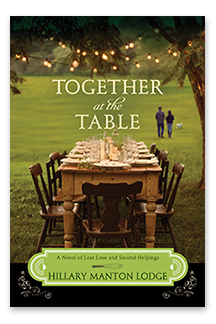 I also just picked up A Table for Two and have it in my tbr pile. Looking forward to that one as well. Katie, I LOVE your books!!!! I'm really looking forward to reading From the Start by Melissa Tagg and To Win Her Favor by Tamera Alexander. They book look so good! I have been wanting to read Reservations for Two! I am looking forward to reading The Huntress of Thornbeck Forest by Melanie Dickerson. I won it a couple of weeks ago so I get to read it early. I'm so excited! Thanks for your participation in the scavenger hunt & the chance to win a copy of "The Art of Losing Yourself"! Loved visiting your blog during this crazy scavenger hunt. I have never heard of anyone writing the same way! Well, I don't really write. I just jot down random scenes. I never could figure out how to turn that into a book. I look forward to reading your writing! There are so many! My reading is less "planned" and more whatever intrigues me at the moment. I have a couple more hundred pages in Deadly Devotion by Sandra Orchard, and then we'll see what fascinating opportunity presents itself! Stone Cold Touch by Jennifer L. Armmentrout. I just bought it today! I'm looking forward to reading Dee Henderson's new book Taken. There are a lot of new releases this month but I am really looking forward to reading Ronie Kendig's Falcon the most. I REALLY want to read Reservations For Two... on top of like 5,000 other new releases! I am anxiously awaiting the arrival of Chasing Sunsets by Karen Kingsbury! I'm pretty sure it'll take me just a few days to read it! :) I love books! Yours looks great also! Hannah's Garden by Lisa M. Prysock. I am looking forward to reading all of the authors included in the scavenger hunt. I have so many books I am looking forward to reading this month! An uncertain Choice by Jody Hedlund, Remnants season of Fire by Lisa Bergren, The Huntress of of ThornBeck forest by Melanie Dickerson and Veiled Roses by Anne Elisabeth Stengl! All of these are on my shelf waiting to be read! Reservations for Two! I have the release day on my calendar. My boys keep asking me who is going out to eat! LOL!!! The Auschwitz Escape by Joel Rosenberg and The Sparrow of Terezin by Kristy Cambron. Waiting for my copy of To Win Her Favor! Hopefully it comes today?? A great and moving post--thanks for sharing it with us! And thanks for participating in the hunt, as well as for the bonus giveaway! A Lynette Eason book waiting for me at the library! I'm slowly working my way through all of Mary Connealy's books :-) But I'm really excited for Deeanne Gist's new book Tiffany Girl! Wow, there are truly so many. A Love Like Ours, Married Til Monday, Taken, from The Start, Tiffany Girl and Taken are just a few. Wow! Lots of great new books coming out. Reservations for two sounds amazing. Becky Wade's new book and Katie's new book for sure. I am looking to reading your books. You are a new to me author. Also can't wait to read, Draven's Light" by Anne Elizabeth Stengl. The art of losing yourself looks so good. I had many of those same feelings when I could not have children and look forward to reading this book. I am looking forward to reading many books by all the new authors I am finding on this scavenger hunt! Reading a cozy mystery, Wicked Stitch by Amanda Lee. It just came out. I'm looking forward to reading "The Pharoah's Daughter" by Mesu Andrews. Thanks for the giveway! I am packing up my house for a big move so I don't anticipate much reading time above my Bible. Maybe this summer when I get unpacked! Tiffany Girl by Deeanne Gist...but any books that I haven't read by great christian romance or clean romance authors. I will add you to the list Hillary and thank Kate for sharing...will add her too. A Sparrow in Terezin by Kristy Cambron!!! Any book I can find. I'm currently reading Aquifer so I'm looking forward to reading more of that tonight. I'm supposed to be reading The Jeweler's Shop for my book club - I'm looking forward to it, but haven't read it yet, oops!! I have just started reading and looking forward to getting into You Don't Know Me by Susan May Warren and then next The River by Beverly Lewis! Finally chipping away at my TBR pile including To Whisper Her Name by Tamera Alexander, Truth Be Told by Carol Cox, and the Swipe series by Evan Angler. "The Inn at Ocean's Edge" by Colleen Coble. Together With You by Victoria Bylin. i would love to read The Art of Losing Yourself......i myself know this lose.....i was never able to have kids......was pregnant twice, but never carried over three months.....so i know that lose very well. Reservations for Two and The Wood's Edge are two among many that I am eager to read!! Well, I have a list of books I want to read this month from many of the authors here in the scavenger hunt! I want to read Lynette Eason's "Retribution" and several by by Kathy Herman, starting with "The Real Emeny". I'm a foodie so I'd love to read Reservations for Two! 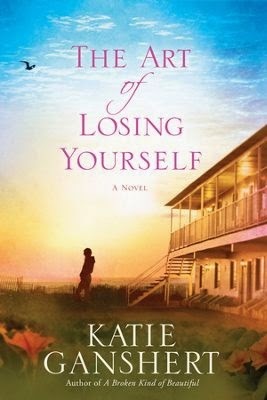 I pre-ordered Katie's book The Art of Losing Yourself a LONG time ago & am eagerly waiting for Amazon to deliver it! Meanwhile, I'm ready to start Becky Wade's third book--Meant to Be Mine. Katie introduced me to her books & I LOVE them! While you are "one of those" (married 07/07/07 [a day on which I attended a wedding]), I am one of those "perfect on the outside" people. I love stories about realization and hard truth journeys and I look forward to reading The Art of Losing Yourself (either this month or whenever). I just started Susan Sleeman's "Web of Deceit" I actually pushed hers to the front of a rather long list of tbr. It was lovely "meeting" you. I'v enjoyed this Scavenger Hunt so much and was happy to meet a new author. I think the next book I'm really looking forward to is the next installment of Debbie Viguie's Psalm 23 mysteries which comes out in May so that doesn't really answer your question. I did just pick up a Deanne Gist novel on sale yesterday so I guess that will be my answer for this month. I'm thrilled to have "met" you through this scavenger hunt. Your book looks like something I would very much enjoy! I look forward to reading it. Thanks for being a part of such a fun scavenger hunt! I host an all-things-book linky party every Thursday on my blog, Mommynificent.com, and we’d love to have you stop by any time. 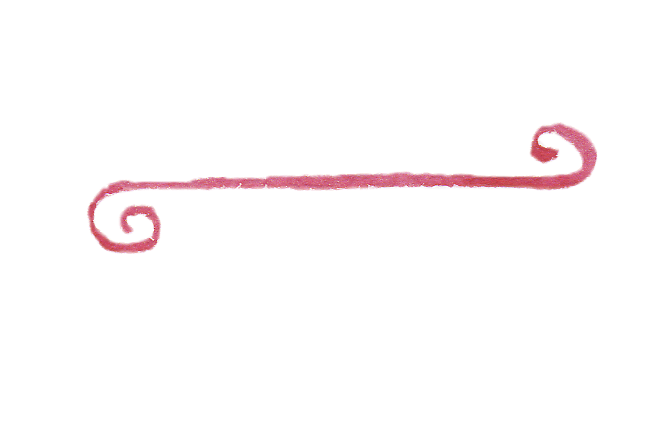 You can link up any of your own blog posts and maybe garner some new readers, and you can also hop around and meet some other authors and avid readers. I'm am eagerly waiting for Queen by R.J. Larson to go up on Amazon so I can devour it! I'm also about to start From the Start by Melissa Tagg! Honestly, my TBR pile for this month is too BIG to list them. I will mention the one I started this morning, though, Every Bride Needs A Groom by Janice Thomspon, I love her stories! Thank you for hosting a stop on this hunt! I have a HUGE TBR pile! The Tomb by Stephanie Landsem is up next though, I think! I'd love to read Reservations for Two! It sounds like a great read! Thanks for being a part of this exciting Scavenger hunt! I am planning to read The Twisted Innocence by Terri Blackstock. I just finished A Harvest of Hope by Lauraine Snelling. Next up are Falcon by Ronie Kendig, Always on My Mind by Susan May Warren, and Taken by Dee Henderson when it comes out later this month. I enjoy these scavenger hunts because I always seem to come across something new to read as well! I'm not sure what I am going to read next. I am reading a book to review, then I will see what I am in the mood for. There are lots in my TBR pile -- two of the top are To Win Her Favor and The Sparrow of Terezin. I look forward to reading another book by Robert Whitlow and Richard Mabry. Wow. What a question! I have a large TBR pile. I think next up is a Robin Lee Hatcher book. I am looking forward to The Longing by Tamera Leigh! It is the last book in the Age of Faith series and I have loved all the previous books! Thanks for the chance to win! I would love to read Reservations for Two. And No Place to Hide by Lynette Eason just arrived for my review. Can't wait to read it! I now have a whole list of books from this scavenger hunt! Yours is at the top of the list though. Sounds like a great read! Wow I am looking forward to reading so many new releases.Especially Love Letters. My stack of books grows exponentially each week. I'm looking forward to reading each one but I think, A Sparrow in Terezin tops my list. I'm trying to keep myself from reading fiction this month, since I have final projects coming up, but one the semester is over "An Uncertain Choice" by Jody Hedlund and "With Every Breath" by Elizabeth Camden is at the top of my stack! It is hard to narrow it down to just one, but Paper Hearts by Courtney Walsh is one of them. I am looking forward to reading A Spy in Richmond by Jocelyn Green. I can't wait to read Taken by Dee Henderson when it comes out the end of the month! I just started Love's Fortune by Laura Frantz! I am currently going through various series--am in the middle of Shinn's Angelica right now. Thanks for being a part of this scavenger hunt. I love learning about new authors. Right now I am reading Elizabeth Camden's book, Beyond All Dreams. I hope in the next month to read Love Letters by Beverly Lewis. I am looking forward to reading some of the books I have discovered on this hunt. Thanks for your participation! You are both new authors to me and I am looking forward to reading your work! Haha. I'm looking forward to reading anything but textbooks. :D In particular, I'm hoping to read Out of Darkness Rising by Gillian Bronte Adams. So many books, so little time. I can't believe how many great authors I'm discovering. I'm pleased to find another author to add to my "Author's to read" list. I have a read-a-thon coming up and I will have to add one of your books to the pile. Thank You for being a part of this great scavenger hunt. It was a great way to meet you. Too many books, too little time!! Right now I am reading Melissa Tagg for the first time. I have had a couple of her books on my wishlist for some time. I'm looking forward to finishing Anne Elizabeth Stengl's Golden Daughter! I am looking forward to reading Kristy Cambron's new book, The Sparrow in Terezin. I read her previous book, The Butterfly and the Violin & it was captivating! I just received Melissa Tagg's newest and am awaiting Becky Wade's release that I should receive this week. Your book looks intriguing. I'll have to add it to my TBR list.